An international team of scientists has developed a strategy to boost people's ability to adapt to climate change, revealed in a new study published in Nature Climate Change. "Millions of coastal people in the tropics have been affected by the global coral bleaching event that unfolded over the previous two years. We need to find ways to help these people adapt to change," said Professor Joshua Cinner from James Cook University's ARC Centre of Excellence for Coral Reef Studies. The study documents how coastal communities, especially in low income countries in the tropics, rely on highly productive reefs—directly for food from fishing, and commercially from fishing and tourism. 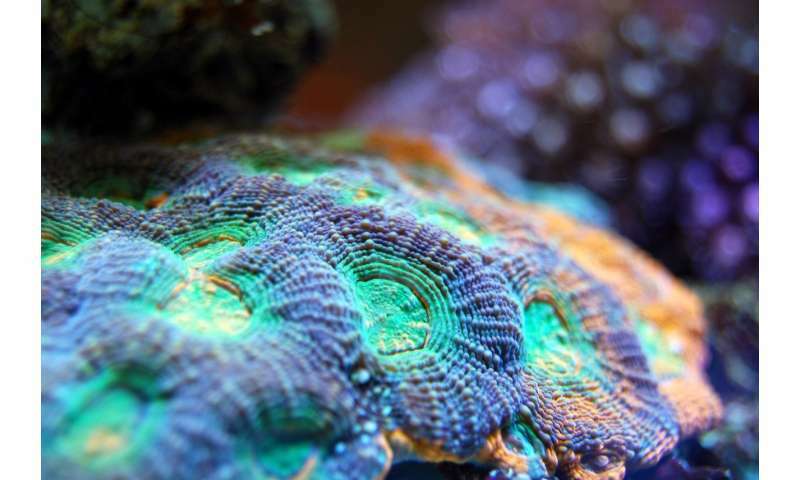 Coral bleaching affects both the immediate productivity of the system. The amount of fish available declines, and in the long term bleaching affects the viability of the communities themselves. The study, led by Professor Cinner, was carried out by a team including the University of Exeter researchers from the USA, Australia and Chile. Ensuring that people have the assets to draw upon in times of need. These assets can include household wealth or public goods such as health services, but they need to be developed in ways that don't exacerbate existing inequalities. Providing the flexibility to change. "Having some flexibility can enable people to minimise losses or even take advantage of climate-related change," said Professor Eddie Allison from the University of Washington, USA. "For example, fishers might need to change fishing grounds or target new species." Learning about climate change and adaptation options. "People need to learn about new techniques and strategies that can help them cope with changing circumstances," said Professor Katrina Brown, of the University of Exeter. Investing in social relationships. "The formal and informal relationships that people have with each other and their communities can help them deal with change by providing social support and access to both knowledge and resources," said Professor Cinner. Empowering people to have a say in what happens to them. "We also need to ensure that people have the ability to determine what is right for them," said Professor Brown. The paper, "Building adaptive capacity to climate change in tropical coastal communities", will be published in the February 1 issue of Nature Climate Change.